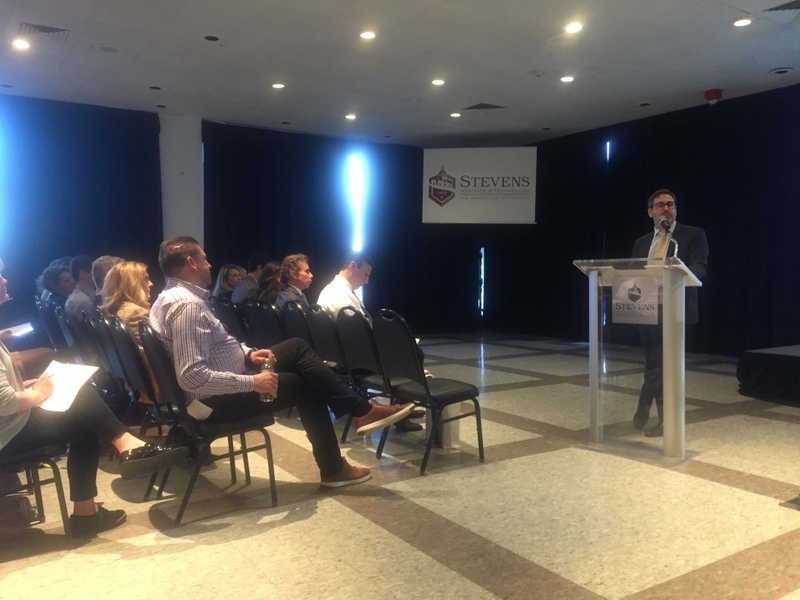 Hoboken business professionals and property owners presented a draft proposal for a citywide Special Improvement District to their peers last week. Hoboken property owners and business people raised questions about what could be the city’s first and only Special Improvement District after members of the SID steering committee presented a draft proposal last week. Attendees talked about difficulties the business community has faced in recent years with parking, homelessness, the cost of opening a business in town, vacant storefronts, and pressures from box stores and e-commerce. The overall question was whether a special improvement district could help. Since February 2018, a steering committee comprised of 20 property owners, business owners, and city officials from all over the mile square have met twice a month to discuss what could be done to stimulate economic development. The outcome was to try and create a citywide special improvement district. A SID, also known as a Business Improvement District, is a private-public partnership in which property owners of commercial or mixed-use properties pay a fee which is then collectively used for maintenance, market studies, branding, general beautification, and more. According to Business Administrator Stephen Marks, the special improvement district would encompass the entire city divided into eight subsections and would have to be approved by the city council. If approved, 1,292 residential and business properties would be assessed a surcharge on their properties in order to generate a budget for the special improvement district. The steering committee has proposed a $1.325 million for the first year. Every year the yet-to-be created board of trustees would propose a budget for the special improvement district and determine how the funds would be spent. This yearly budget would have to be approved by the City Council. According to the steering committee, the assessment on each of the eight subsections would shift each year depending on which areas of the special improvement district will get the most resources that year. For the first year, the steering committee proposed a 3.3 percent assessment on Washington Street properties, while properties in the “gateway south” sub-district in southwestern Hoboken would see a 0.81 percent assessment. Of the $1.325 million budget, the committee proposed $527,000 would go to marketing, $360,000 would go to capital and visual improvements, $294,000 would go to business attraction including events, promotions, and a retail market analysis, and $99,000 would go to the administration of the SID. Attendees voiced several concerns after learning about the SID for the first time. One property owner said he didn’t agree with the allocation of the projected budget. Freeholder Anthony Romano, who own Louise and Jerry’s on Washington Street, asked what the special improvement district would do to address the city’s parking issues and the “emotionally disturbed” homeless people on Washington Street. Other business owners have said those persons block their vestibules and make it impossible for customers and clients to visit. Others such as Hyun-Ju Kwak questioned the assessments she and other property owners would have to pay. She said that it seemed like just another tax increase while additionally asking how long the special improvement district would be in effect. Koperweis said that it is classified legally as a surcharge, not as a tax, although it will appear on a property owner’s tax bill and noted that it is not optional. A property owner must pay, and if they do not, it would end up as a lien on their property like a tax. He also said that typically a special improvement district takes over five years before it begins to become successful and that the SID would not operate once it is no longer needed to stimulate the local economy. The City Council may vote on a final special improvement district ordinance as early as this fall, according to Koperwies. To learn more about the proposed SID look at our past coverage at www.hudsonreporter.com.